‘Our adversaries have forced us into an existential fight about the survival of our culture and our nation. There are only two choices: victory or death.’ –Mattias Karlsson of the radical right Swedish Democrats, Facebook comments on the outcome of the Swedish national elections 9 September 2018. 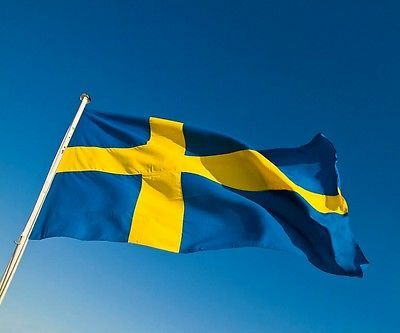 Following Sweden’s national elections on 9 September, tensions have been strained to a maximum and emotions are running high both in the political establishment and in society at large. None of the traditional Swedish parties secured a clear victory. And although SD (Sverigedemokraterna, the Sweden Democrats) failed to reach the result they wished for, exponential growth in their electoral support since their first entry in parliament in 2010 has created a serious deadlock in forming a functional government. Significant segments of the conservative-liberal ‘Alliance’ (Alliansen) are outright supporters of breaking the prior cordon sanitaire towards SD and bringing the party – with its historical origins in organized neo-Nazism – into a governing coalition. Thus, it came as a slap in the face for the party when Björn Söder of SD was voted down as Deputy Speaker of the House at the opening session of the Swedish parliament. Both before and since the election result, Swedish opinion has remained polarized. An impressive series of media editorials have appeared, arguing for either a continued exclusion of SD and its active influence over a future government; or to the contrary, that the SD, with more than a million votes, cannot be ignored any longer. It is against this backdrop that Alice Teodorescu, the political editor of the self-declared ‘independently liberal’ Göteborgsposten (GP, Gothenburg Post), published an editorial (http://www.gp.se/ledare/teodorescu-nej-1930-talet-är-inte-här-igen-1.9408959) in which she aimed to dismantle one of the arguments brought forward during the recent election campaign – and certainly since the 2010 entry of SD in the national parliament. In recent years, a sizeable number of Swedish Holocaust survivors have passionately spoken out against SD. These survivors have often viewed SD ideology and the contemporary political situation in Europe and Sweden mirroring the early 1930s, especially the rise of Nazi Germany. These claims have been publicised, among other outlets, in the liberal newspaper Dagens Nyheter (DN, The Day’s News), owned by publishing house Bonniers. Most notably, Hédi Fred, author of a number of books on her experiences of the Holocaust, has repeatedly stressed that Swedish democracy is under an existential threat from the radical right. However, Alice Teodorescu’s editorial undermined this line of argument and instead claimed that Holocaust survivors (and their testimonies) have been abused as straw men (“bulvaner”) in order to deceive the Swedish public and political establishment into continuing to lock out SD from political power. In an immediate reaction, Johan Hilton of DN stated that Teodorescu’s editorial was unprecedented in its rhetorical brutality, in particular by “consigning surviving activists for democracy the role of completely passive objects, manipulated by an evil-minded left, prone to dictatorship.” Since my own, previous comments on this editorial have led to threats against my life, alongside an orchestrated online hate campaign that have forced me to close down several social media accounts and to file multiple police reports, her editorial deserves to be summarized somewhat more extensively. Whereas much could be said (and has been said) about the divisive nature of the editorial already, I would like to highlight some particular rhetorical moves made by Teodorescu. First, she claims that abusing Holocaust memory is directed against ‘the conservatives’ (“borgerligheten” – a very diffuse term to translate). This implies that she actively excludes liberals (who have pointed at Holocaust survivors’ independent testimonies as a proof of SD’s incompatibility with Swedish political norms) from being part of the conservative middle-ground. Secondly, Teodorescu actively includes an association by proxy with, or at least the acceptance of, SD as part of conservatism. She also rejects the ability of Holocaust survivors to make any informed comparisons between current Swedish migration politics (which, she asserts, are perfectly within the law) and the racial policies of Nazi Germany. This is surely an attempt undermine the (potentially compelling) argument that Holocaust survivors a) are in fact able to make independent comparisons between Germany of the 1930s and contemporary Sweden; and b) Holocaust survivors have arrived at the informed conclusion that any influence of SD in national politics would be detrimental to Swedish political values. Teodorescu indirectly defends the position that historical parallels not are fruitful at all in an analysis of contemporary politics. However, she immediately falls prey to her own critique since she – without any shrink of evidence – claims that those who refer to the testimony of Holocaust survivors have rubbed their shoulders with communist totalitarian “murder-regimes” in the past. In her mind, what is unethical in one historical comparison is ethical in her own. Teodorescu thus engages in a strategy of whitewashing SD on the back of marginalized testimonies by several Swedish Holocaust survivors and those who have provided them political space. That the ‘Alliance’ has to re-design its politics to make it attractive for SD support was spelled out clearly by Teodorescu in yet another editorial a few days later, http://www.gp.se/ledare/teodorescu-tänk-bort-sd-för-en-stund-1.9543405. It delivers a key to unpacking her accusations against an unspecified ‘left’ and their ‘abuse’ of testimonies by Holocaust survivors. Her main rhetorical aim seems to recommend breaking the cordon sanitaire around SD in order to open the gates towards political collaboration. Teodorescu’s editorials and the reactions it triggered could thus have remained a telling episode in the contested nature of Holocaust memory, fueled by the tense political atmosphere of post-election Sweden. My part in this unanticipated saga of radical right rage and retribution unfolded over the course of the following days.